If you too belong to the snorer’s club, then you would probably agree with the saying, “Laugh and the world laughs with you. Snore and you sleep alone!” But do you know that snoring can bring on much more than loneliness? 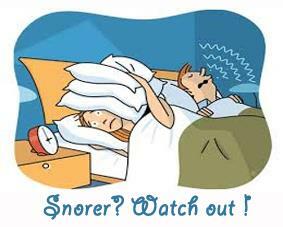 Just as you are blissfully unaware of the glares your spouse gives you in the dark of the night, snoring can give you a number of health troubles if it is due to a sleeping disorder…. And also blindness, say scientists. Researchers from Taiwan have found that a sleep condition called sleep apnea puts people at a greater risk for developing Glaucoma, a potentially blinding condition - within five years. 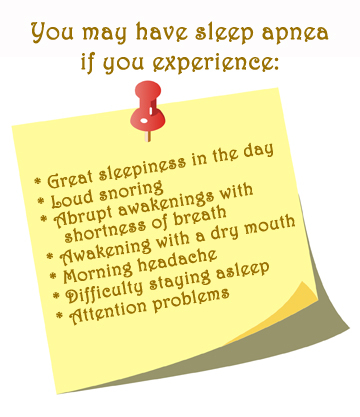 Sleep Apnea is a sleeping disorder in which your breathing repeatedly stops and starts and disturbs your sleep. In sleep apnea, your breathing becomes shallow or pauses for 10 – 20 seconds. Hundreds of such episodes can occur in a night’s sleep, causing you to jolt out of deep sleep into light sleep. Since you spend less time in deep sleep, you cannot be energetic and productive the next day. Apart from feeling sleepy and tired in the daytime, sleep deprivation over a long period of time puts you at risk of serious health problems like diabetes, heart disease, high blood pressure, weight gain , stroke… and now glaucoma too. Researchers studied the medical records of 1012 men and women above the age of 40 who were diagnosed with sleep apnea during 2001 – 2004. This group was compared with a control group of 6072 people without sleep apnea. A patient was included under study only if there was a record of him or her undergoing a sleep study. Similarly, to validate the results, a diagnosis of glaucoma was considered only if he / she were prescribed glaucoma medication. The incidence of glaucoma among those with sleep apnea was 11.2 per 1000 person years while it was 6.7 per 1000 person years for those without sleep apnea. While other risk factors for glaucoma like diabetes, high blood pressure, obesity, high cholesterol etc. were considered, it was found that those with the sleeping disorder were 1.67 times more likely to develop glaucoma within 5 years of diagnosis. Glaucoma is the second most common cause of blindness in the world. Earlier research had found that Glaucoma is commoner amongst people having sleep apnea. Though the study did not conclude that the sleep apnea causes glaucoma, it definitely gives the most conclusive evidence to date, that sleep apnea is an independent risk factor for development of the most common type of glaucoma, called open angle glaucoma. Glaucoma is notorious as the silent thief of sight, because it is often so painless and gradual, that significant damage has already occurred by the time one realises the loss in their vision. A baseline eye test including that for glaucoma is advised at age 40 years. However, if you are at risk of glaucoma, an earlier eye check would be advisable. You might be at risk of Glaucoma. Do get yourself a glaucoma eye test at the Glaucoma Clinic at Advanced eye hospital in Navi Mumbai.